Although it might be fading, a little, Comet CATALINA US10 ("Catalina" from now on in this report) is now very easy to find in both the evening and the morning sky from the northern hemisphere. 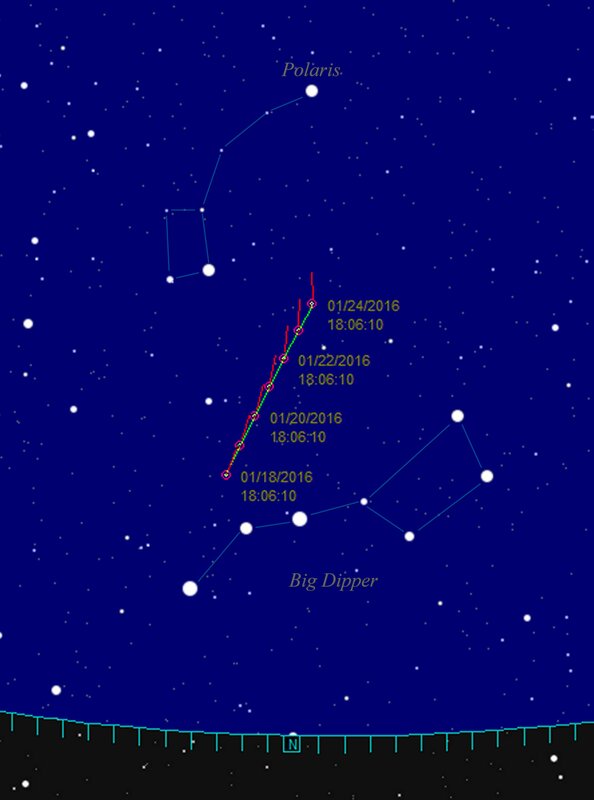 The comet is now drifting past the stars which form the handle of the Big Dipper – or the tail of the Great Bear if you prefer – and although it is too faint for the naked eye to see it is visible in binoculars and small telescopes as a small, elongated smudge. 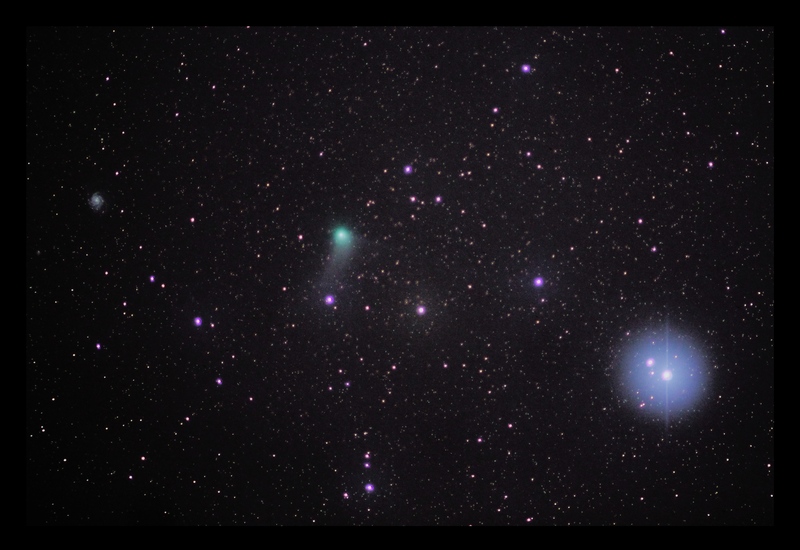 Long exposure photographs from dark sky sites show the comet in much more, exquisite detail, revealing a long, thin gas tail of almost lavendar hue, and a stubbier, broader curving dust tail of pale yellow-white. I was lucky enough to be up in Northumberland over the weekend, which is a part of the UK with very dark skies, amongst the darkest in the country in fact, and I was able to take my best photos yet of Catalina. This first photo, taken on Friday night, shows Catalina between the bright star Alkaid (the star which marks the very end of the Big Dipper’s handle, on the right) and the misty spiral of M101, the Pinwheel Galaxy. 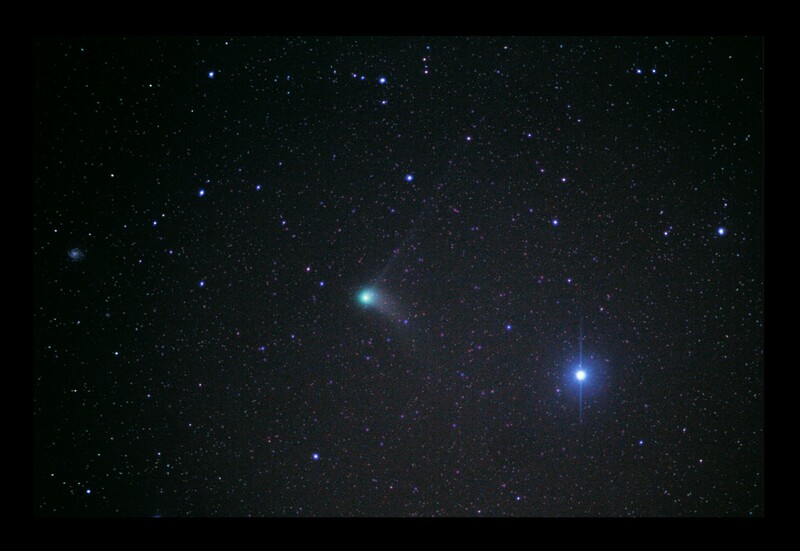 Over the weekend the comet slid past M101 and its fly-by was photographed by countless astrophotographers around the world.